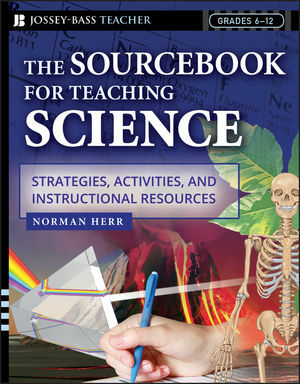 The Sourcebook for Teaching Science is a unique, comprehensive resource designed to give middle and high school science teachers a wealth of information that will enhance any science curriculum. 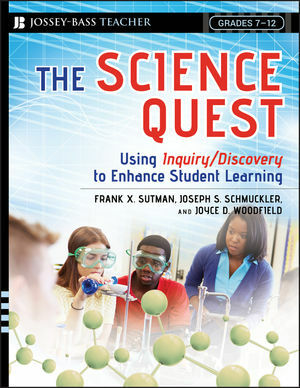 Filled with innovative tools, dynamic activities, and practical lesson plans that are grounded in theory, research, and national standards, the book offers both new and experienced science teachers powerful strategies and original ideas that will enhance the teaching of physics, chemistry, biology, and the earth and space sciences. NORMAN HERR, Ph.D., is a professor of science and computer education at California State University, Northridge. He earned his doctorate from the University of California, Los Angeles, and has worked as a scientist, high school science teacher, college science instructor, science education consultant, and director of graduate programs in science education. Dr. Herr is co-author of Hands-On Physics Activities with Real-Life Applications and Hands-On Chemistry Activities with Real-Life Applications from Jossey-Bass. Sourcebook for Teaching Science website Visit this site for numerous interactive resources and downloadable files for teaching and learning science. 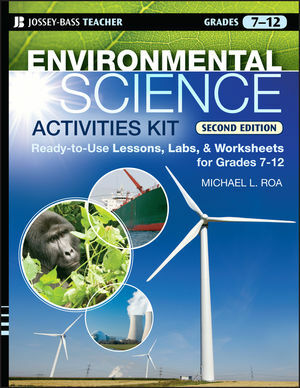 Resources mirror the book's Table of Contents for quick access and relevance. One-stop comprehensive access to the best ideas, activities, and practical tools for teaching science. More than 230 high-quality activities, lab experiments and exercises with extensive background material. Inquiry-oriented approach stimulates student interest and engagement. Strongly grounded in theory, research, standards, and the classroom practice and proficiency-building emphases apply across the content disciplines. Offers excellent ‘bridge to practice’ for pre-service science teachers.